Turkish Airlines expects to receive 35 new aircraft this year, including 10 wide-body planes, as part of a drive to increase the size of its fleet and lower the average age of its aircraft. Ahmet Olmustur, Turkish Airlines’ chief marketing officer, told reporters in Dubai that the airline aimed to have almost 450 aircraft by 2020, from 311 now. “People want to fly with new aircraft so we have plans to lower the age of our fleet,” he said. 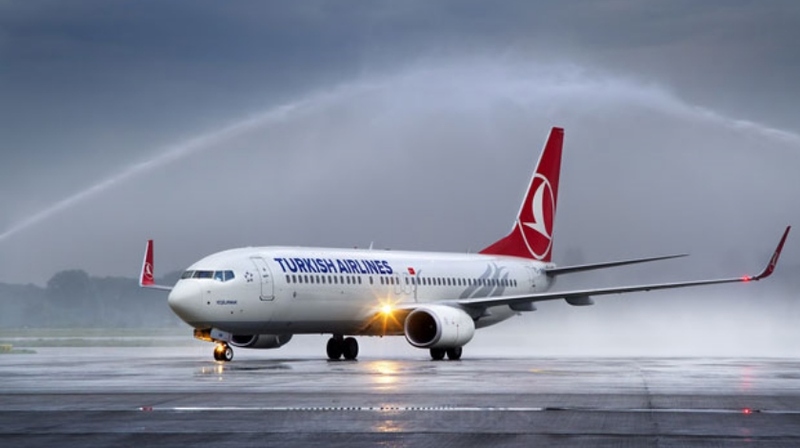 Turkish Airlines expects to have 72.4 million passengers this year, representing an 18 percent increase on 2015. However, Olmustur said the airline had seen a 10 percent drop in demand on some Russian and southern European routes. Tourist arrivals to Turkey have taken a beating following a spate of bomb attacks this year, including two in Istanbul, usually the country’s biggest tourist draw. Arrivals from Russia have also been hit by worsening tension between Ankara and Moscow after Turkey shot down a Russian warplane over Syria last year. However, Olmustur said Turkish Airlines was betting on improving demand from Iran following the recent lifting of Western sanctions against Tehran. “We’re putting capacity to Iran (up) as far as we can,” he said, adding the airline flew to seven destinations in Iran and was looking to increase its capacity by 15 percent in 2016 from last year.